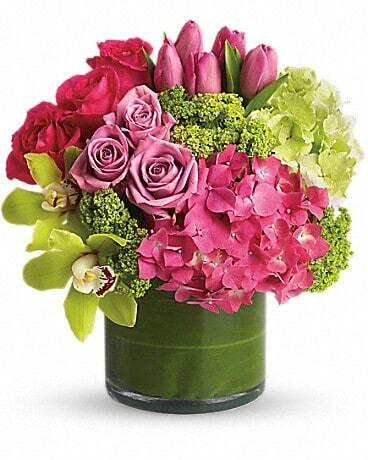 All Flowers and Gifts proudly provides delivery service throughout Canada and the USA. We have been in the florist industry for many years, both running local flower shops and offering online flower and gift basket delivery. We are committed to offering the finest floral arrangements and gift baskets as well as friendly, excellent customer service. Let All Flowers and Gifts be your first choice for flower and gift basket delivery. *To help assure on-time delivery during the busy holiday season, please place your orders as soon as possible and at least 1 day prior to your chosen delivery date. All Flowers and Gifts will be closed on the holidays, however you can still place your orders online to be delivered on our next business day. If we are unable to delivery on certain days, those days will not be available to chose for a delivery date on our online order form. On holidays our phone will either forward to our call center or your will receive our voice mail. Please call back during our next business day. Often during holiday time deliveries are being conducted even though our office may be closed. Orders must be received before 12:00 noon in the recipient's time zone to assure same-day delivery, Monday to Friday. For Saturday same-day delivery, orders must be received by 10:00 a.m. MST. Orders received after that time will be delivered the following day. Delivery of orders to rural route addresses cannot be guaranteed. We will often call recipient prior to delivery to ensure there will be someone to accept the delivery. Please let us know if you DO NOT WANT THE RECIPIENT CALLED prior to delivery. In which case let us know if you would like the flowers to be left at the door or neighbored. Occasionally, substitutions may be necessary to create your floral arrangement or gift basket. 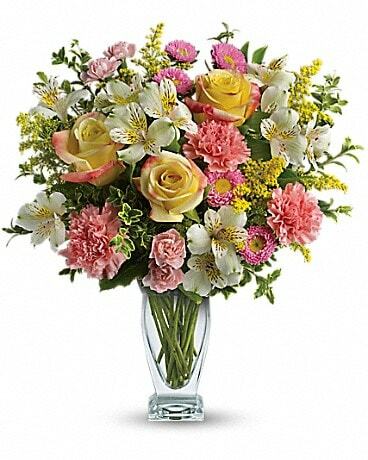 Although we try to provide you with the exact bouquet you have ordered, sometimes it is not possible due to the availability of certain flowers in various parts of the country. When substitutions are necessary, care is taken to maintain the style, theme and color scheme of the arrangement. When substituing we will use flowers of equal or greater value. In single-flower arrangements, such as an all rose bouquet, or orchids, we will make every attempt to match the flower type, but may substitute with another color. Sometimes the keepsake item or vase you have ordered will not be available. This often happens during the holiday seasons when there is a high demand for certain items and we do run out at times. We will try to match the container as closely as we can to the one ordered if at all possible. If you have any questions or need more information, please contact us by email at flowers@allflowersandgifts.com or call us directly toll free at 877-304-1122 or 587-885-1270. We are happy to hear from our customers. If you are not pleased with your order, please let us know right away. Customer service and happy customers are important to us. For flower delivery to any Local Calgary Hospital, order through our online flower shop, we have a wide selection of beautiful flower arrangements and gift baskets. Needing to send flowers to someone in the hospital, we can help you with choosing that perfect fresh flower arrangement or gift basket. 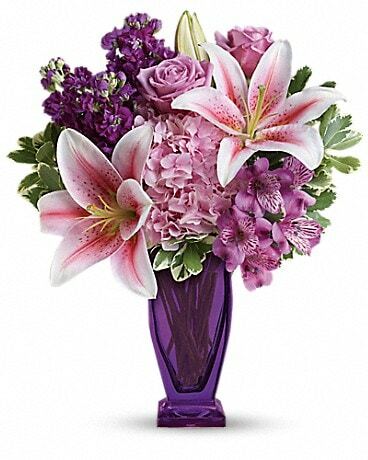 As one of the best Calgary online flower shops, we can help you with all your funeral flower needs. 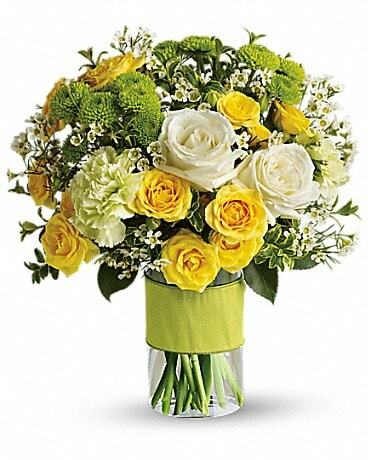 Send funeral flowers in Calgary by convenient online ordering. We provide flower delivery to the following Funeral Homes. We deliver flowers to the following Long Term Continuing Care Centers in Calgary.